Since completing a Master’s Degree in Osteopathy in 2013, Katie has continued to develop her skills and knowledge. She has undertaken further training in understanding and managing chronic pain, dry needling and Pilates. This involved a six month internship at the Queen’s Medical Centre in Nottingham where she worked alongside a team of surgeons, consultants, osteopaths and physiotherapists to help patients with long term spinal pain. Outside of private practice Katie is involved in the Bristol hub of the National Council for Osteopathic Research. Most recently she was involved in an Arthritis Research UK funded trial, looking at the effects of manual therapy on low back pain. She has also published research and articles, including a prize-winning research paper on jaw dysfunction. 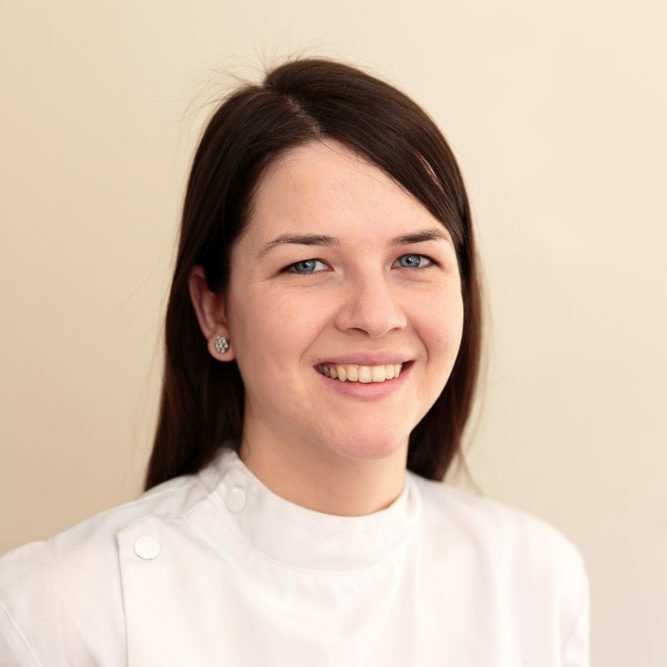 Katie is the current Vice Chair of Bristol Osteopathic Society, organising training and networking between osteopaths in the Bristol area. Outside of practice Katie enjoys travel, music and baking! Works at the Sneyd Park clinic.